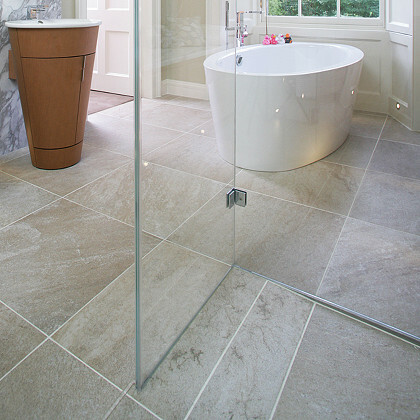 SSI True Frameless shower enclosures with seamless finish are produced with shaped toughened glass, (to suit the floor rakes) and installed surface-mounted on invisible packers for a perfect fit. 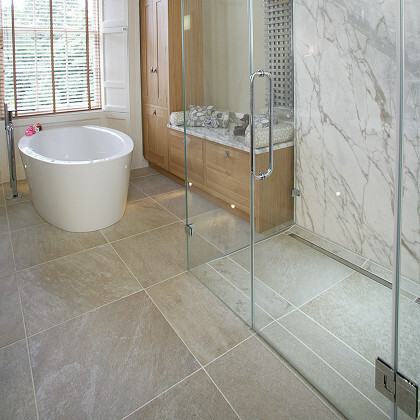 This process must only be carried out by our in-house specialist glass installers. We never use surface floor channels for our screens as they make the finish appear ‘standard ‘whilst not providing extra support. We never use recess floor channels are they problematical to install into flush floors with linear wet deck due to the waterproof tanking and also different tile thickness. The only way to get a True Frameless shower enclosure with a Seamless Finish is with ‘shaped toughened glass’. 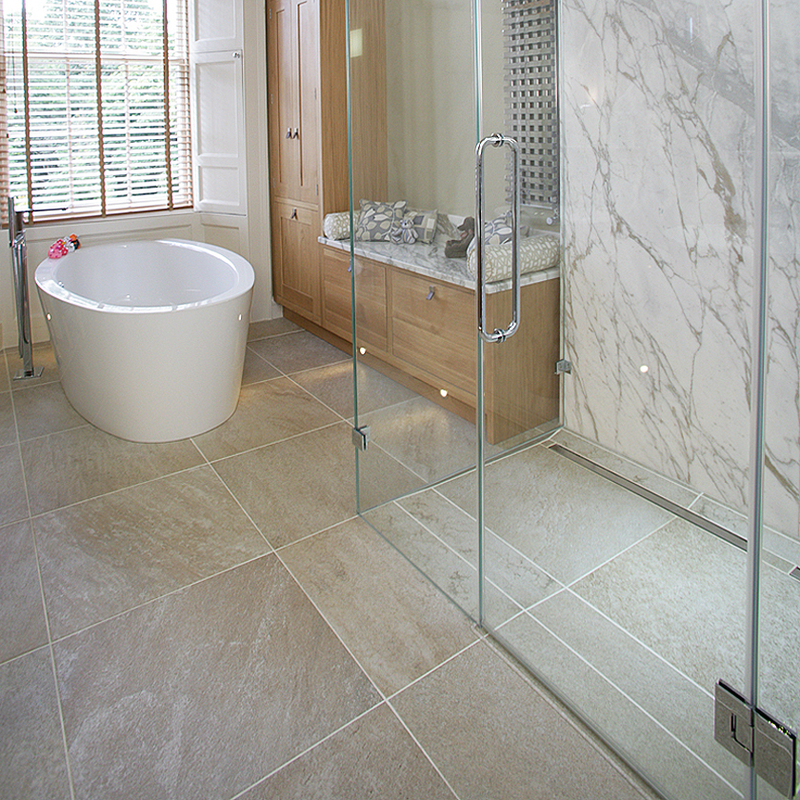 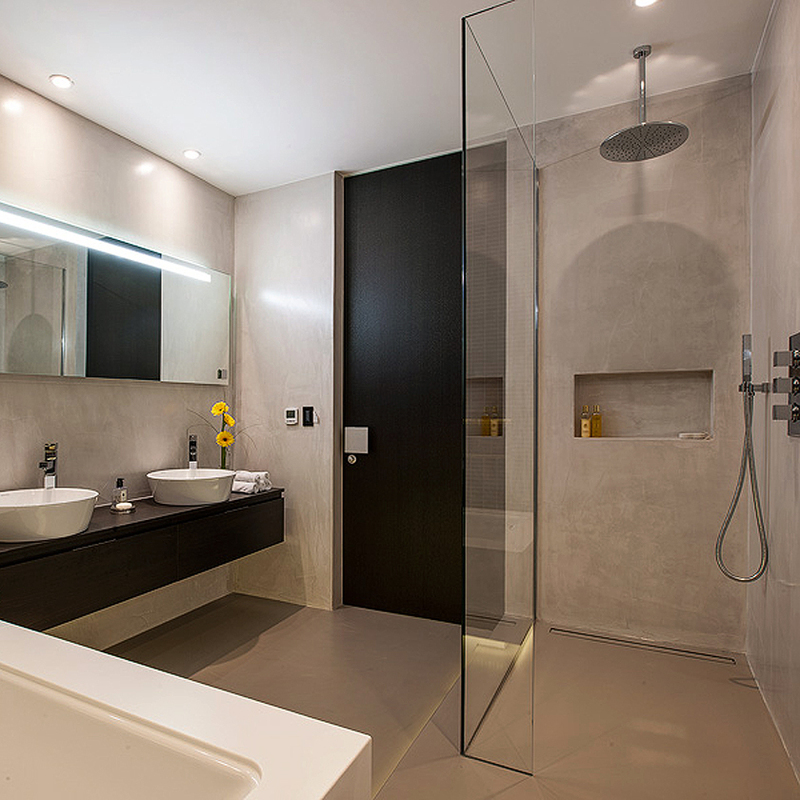 Don’t accept anything less than SSI in your tiled wet room bathroom for a Truly bespoke finish. 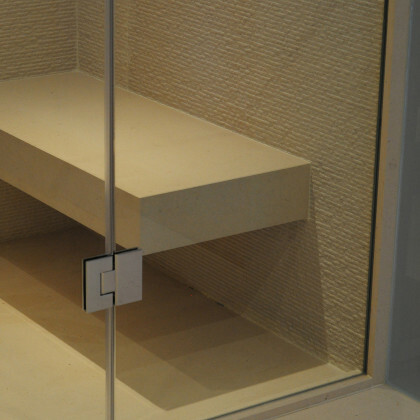 SSI True Frameless does an expert job of surveying and installing frameless shaped glass to overcome design challenges whilst gaining stunning results.